Lawmakers still mulling health care changes | Lewis & Ellis Inc.
Uninsured rate on the rise once again? 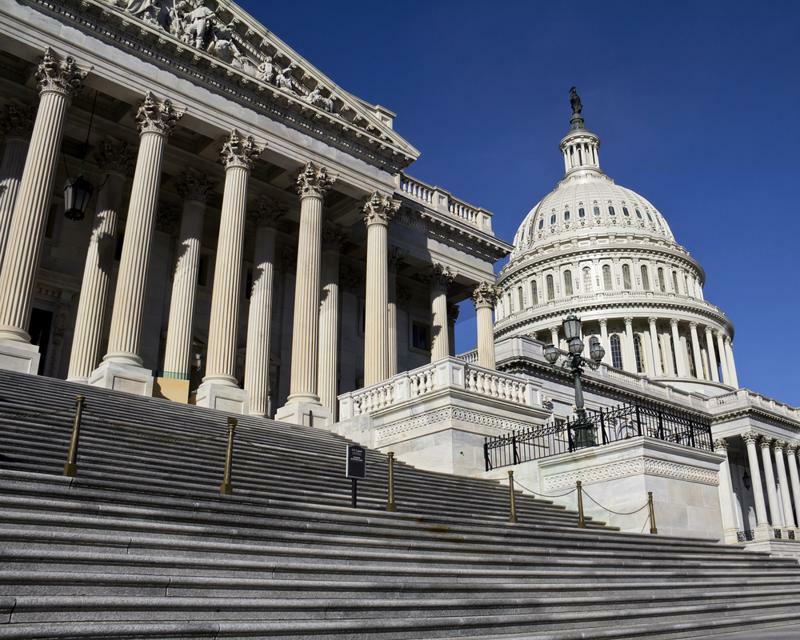 Attempts to significantly alter the health care landscape nationwide with a single, overarching bill ended up failing late last year, and only smaller changes were enacted as part of the new tax laws. However, that does not mean federal lawmakers have changed their attitudes toward the need to overhaul the way the health care sector works in the U.S. Now, a new bill is being considered in the nation's capital that could potentially reduce premium increases by "stabilizing" the individual markets. The latest effort, co-written by U.S. Sens. Lamar Alexander and Susan Collins, Republicans representing Tennessee and Maine, respectively, could dramatically alter a number of aspects of health care, especially for people buying coverage on the individual exchanges mandated by the Patient Protection and Affordable Care Act, according to Vox. One measure of the bill would see the federal government continue to fund cost-sharing subsidies that serve to make ACA coverage affordable in the first place, but others are more controversial. The subsidies were the subject of significant debate themselves, and were stripped out of the ACA some time ago, because they cost the federal government a lot of money, the report said. However, once the Trump administration said it would not provide this additional funding, health insurance premiums for 2018 shot up almost immediately in response. By reinstating the cost-sharing subsidies - for a period of four years - this bill would deliver a direct benefit for anyone who relies on the ACA exchanges for their coverage. However, insurance companies are worried about what would happen if they have to reverse course and start accounting for those subsidies so soon after they pivoted to deal with their absence. Federal lawmakers continue to tinker with health care law changes. Meanwhile, the bill would also allow insurers to start offering coverage in a new "tier" for everyone in the insurance marketplace, the report said. Currently, there are four "metal" tiers from which ACA exchange enrollees can enroll: bronze, silver, gold and platinum. This would add an even lower-cost "copper" tier for everyone, not just consumers under 30, which is the only group to which the "copper" option is currently open. One potential issue for the bill, however, arises because the law would also expand states' ability to start granting permission for certain types of lower-cost coverage (that also comes with fewer benefits) to be sold in individual marketplaces, according to ABC News. Currently, these "innovation waivers" must be supported by both a state's governor and legislature, but the Alexander-Collins bill would grant governors unilateral power in this regard. According to ABC News, certain aspects of the bill related to creating billions in reinsurance funds and covering costs for sicker patients would also potentially create difficulties when it comes to ACA insurance to cover costs related to abortion under the controversial Hyde Amendment. The Hyde Amendment, originally passed in the mid-1970s, prevents the federal government from funding abortion in any way, and by creating the reinsurance funds, the federal government would technically be covering insurance costs in some way. Consequently, some on Capitol Hill believe that the Hyde Amendment would be applied to those funds that lead to reduced funding for abortions on insurance purchased through the ACA exchanges, though Alexander told reporters there was "no chance" legislators apply the law in that way, the report said. However, other lawmakers have said they remain concerned about that funding being applied to reproductive issues of this type. As a consequence of these issues and others, it is currently unclear whether the Alexander-Collins bill will actually pass the Senate, according to The Los Angeles Times. At present, it appears as though Senate leaders are optimistic the legislation can be passed by the end of the week as part of a larger spending bill. While many lawmakers support putting billions in additional funding into stabilizing the ACA exchanges as a means of keeping them afloat and affordable, concerns about what it would mean for Americans' reproductive health might ultimately sink it. On the other hand, observers and participants alike believe the bill might pass because of just how much it may be able to leverage federal funds to reduce consumers' insurance premiums, the report said. Alexander noted that while the Hyde Amendment issue could be a stumbling block, the bill would also potentially slash insurance costs by 40 percent in some parts of the country. On the other side of the aisle, some lawmakers are also concerned with the bill because of the extent to which it may prop up any aspects of the ACA in the first place. Certainly these are all issues for consumers and insurers alike to monitor closely as time goes on, because any potential changes could result in significant shifts in how Americans shop and pay for their insurance on the ACA exchanges, as well as how insurers offer it in the first place. There are a lot of moving pieces when it comes to the national health care and insurance laws now being considered in the U.S. Senate.